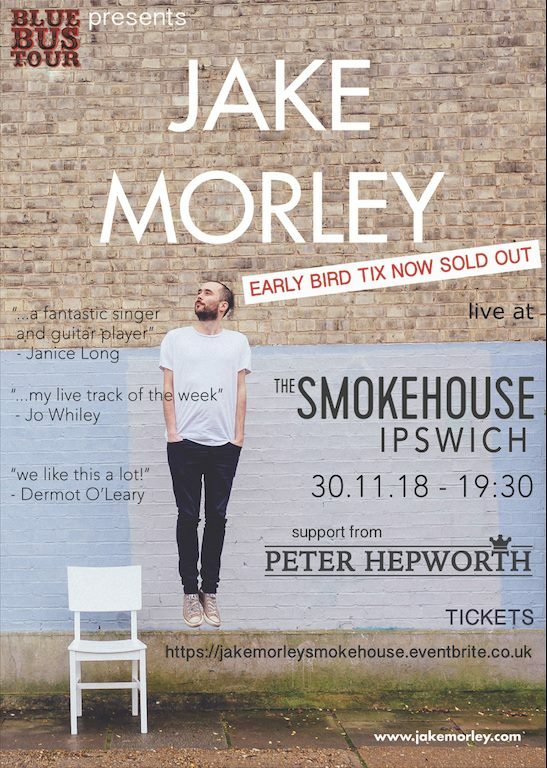 Touring some of Britain's best tiny venues this autumn to deliver up-close performances of new material, Jake Morley is one of the UK's most distinctive and interesting songwriters at the top of his game. Among the best lap-style guitar players in the world, he combines the sound of guitar, piano and drums into one instrument with seemingly impossible dexterity. Coupled with his incisive song writing that moves seamlessly from heartbreak to humour, his fearless live shows mark him out as an artist to be seen as well as heard.